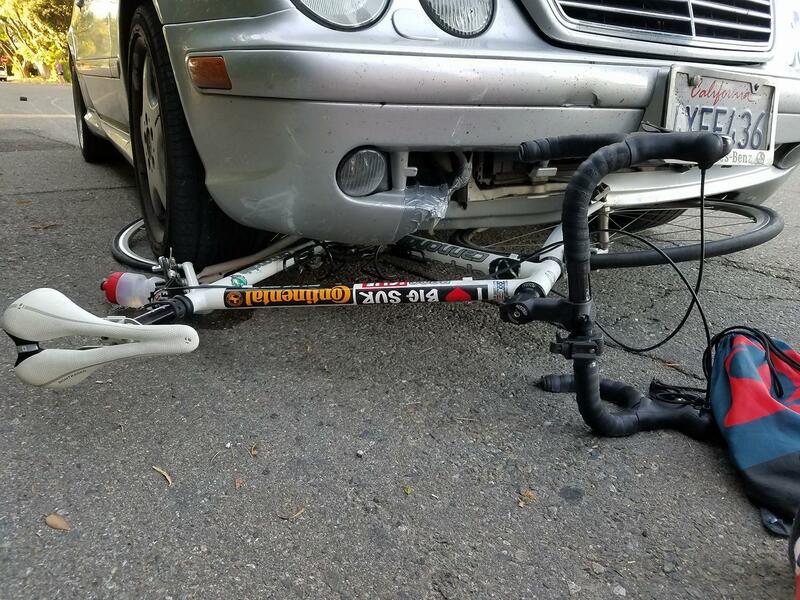 This vehicle hit a friend of a friend. I was hit by a car who ran a stop sign today, pinned me underneath the car and then continued to drive with me underneath screaming for 60 feet as she turned. At one point while pinned underneath the car I felt her accelerate trying to drive over whatever was in her way as I screamed at the top of my lungs. She was in a convertible, we were on a quiet residential street without another car in sight and I had the right of way. There was no reason this should have happened. People ran out and finally got her to stop driving, otherwise I think she would have killed me. She drove with me under the car for so long it ripped off most of my clothes. 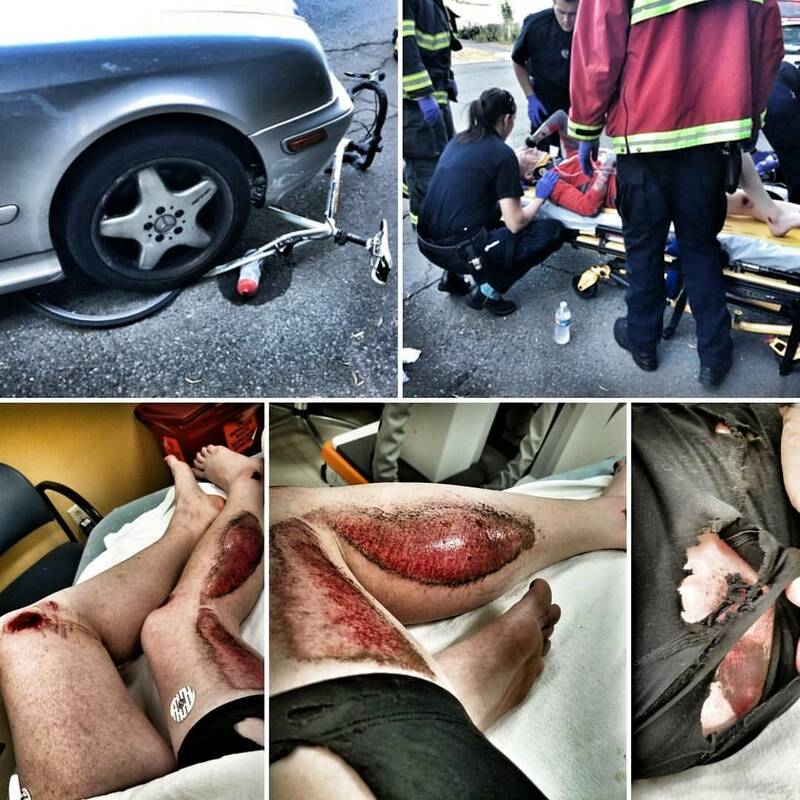 Grateful to have made it away with only severe road rash and bruising, no broken bones was an absolute miracle. I was clipped into my petals so there was no getting out once she had me pinned underneath the tires. She didn't say sorry or ask if I was okay, just stood there looking annoyed as if I'd inconvenienced her standing with her arms crossed as I screamed in pain as so much of my right side skin was ripped to shreds. Only words I heard her speak was when the police arrived and it was, "I didn't run that stop sign." There were witnesses so hopefully she'll get whats coming to her. My bike is destroyed but I'm alive. Please watch for cyclists and if you think you've run over something, for the love of god PLEASE stop to make sure it's not a person.